plastprintpack Ethiopia will display products like plastics and composites, raw materials and auxiliaries, machinery and equipment for the plastics and rubber industries, packaging machines and equipment, printing & publishing solutions etc. 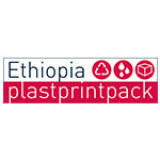 The 3rd plastprintpack Ethiopia 2019 has lots of news for 2019. Germany, Netherlands and Turkey will be in for the very first time with official national pavilions while China, France and Italy renew their pavilions once again. After 11 Chinese exhibitors had already participated in 2018, an important Chinese pavilion is again planned for 2019. Already for the third time in 2019, adepta will lead a delegation of French companies to exhibit in an official French Pavilion. And a larger Italian pavilion is planned for 2019.